Hot out of the oven! 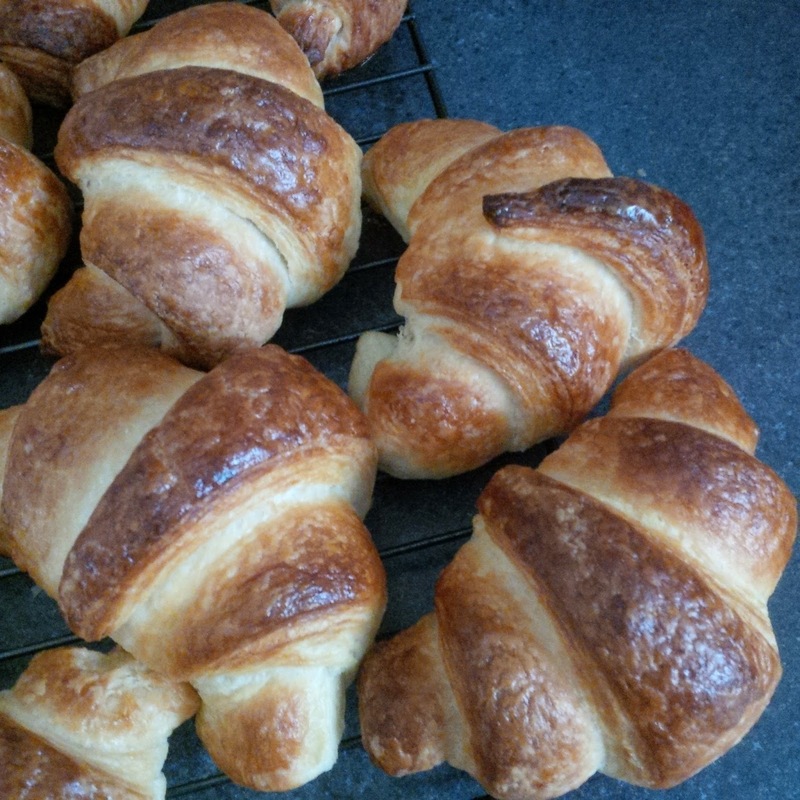 Flaky, buttery pastry perfect for a Sunday morning. 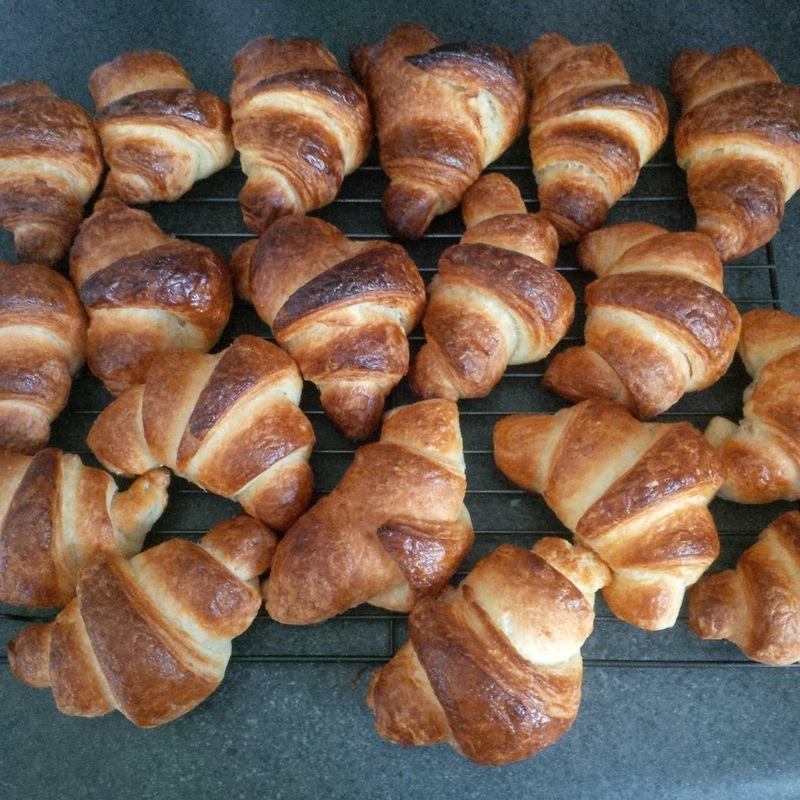 These croissants took me 3 days to make. Yep, 3 days. They weren't difficult or really time consuming but they needed so many rests periods and overnight trips to the fridge that to eat them on a Sunday I needed to make the dough on a Friday. Who doesn't like more bacon?